Many religious and philosophical traditions honor innocence and virtue of the deer. The antlers are a feature that has made the deer a specimen of spiritual superiority. Like a fine crown the antlers bring the deer closer to the sky making it sacred. Because the antlers fall of and grow back deer is considered a great symbol of regeneration. CHRISTIAN TRADITION: For Christians the deer is a symbol of piety, devotion and God taking care of his children. The legend of Saint Eustace tells of the Roman general who was out hunting and came across an enormous and beautiful deer. When he looked into the eyes of the magnificent creature, the light of Christ shone bright and the voice of God spoke to him through them. He gave up hunting and became a devoted Christian, honoring all of God’s creation. 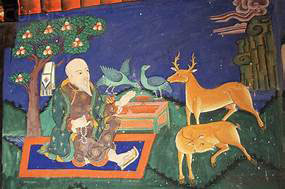 BUDDHIST TRADITION: Buddhists associate the deer with happiness, peace, harmony and longevity. In one of his former lives the Buddha was a golden deer that spoke to men. Accordingly deer by nature are timid and serene creatures and the presence represents the purity of a kingdom and people without fear. 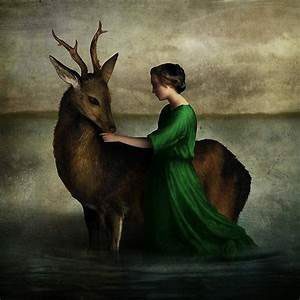 CELTIC TRADITION: The Celts have two aspects for deer, the female…a red deer. She symbolizes femininity, gentleness and tremendous grace. It is said that the deer would often tune into women to avoid being hunter and killed. 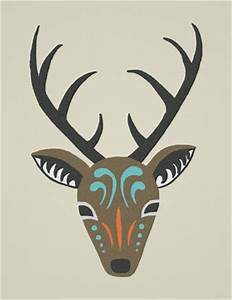 Then there is Damh, the masculine element of deer. Damh represents independence, pride and purification. 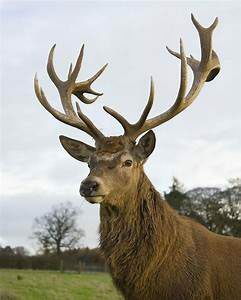 The stag king of the forest and the protector of all other creatures. 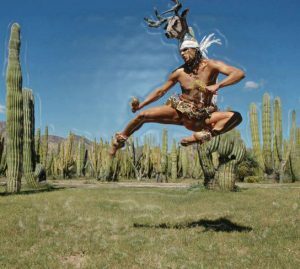 WIXARITARIE TRADTION:These inhabitants of central Mexico also recognize the great benefit of deer energies. 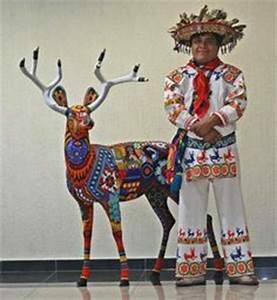 The deer is the first Shaman who eventually becomes the interlocutor between shamans and other gods. 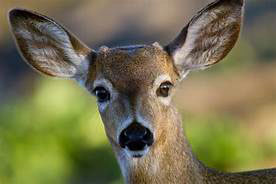 Deer is very closely linked to two plants, its heart is a peyote and corn which is represented by the antlers. 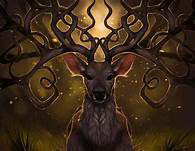 The deer is so important to the Wixaritarie that its reproductive cycle is connected to their ritual calendar. Native Americans see the deer as a messenger. Deer is an animal of power and a totem that represents sensitivity, intuition, grace and gentleness. The Cherokees have a legendary story that tells how deer obtained its antlers by winning a race with a rabbit. All the animals of the forest wanted to know which of the two was the fastest. The rabbit cheated before the race so through honor, grace and perseverance the deer won its antlers. All the animals of the forest wanted to know which of the two was the fastest. The rabbit cheated before the race so through honor, grace and perseverance the deer won its antlers. The deer inspires all who encounter it. We all marvel at the magnificent grace and breathtaking beauty of the deer. Its agility is awe-inspiring. It seems to move with such quiet poise. 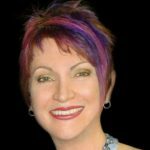 When we begin to get the symbols in life as it churns around us, we can invoke those waves of energy to benefit us and create magic in our own lives. These are the tools we can use for our inner development. They are the spiritual hammer and nails that can build on the inside what we want to see and have on the outside. If you are so inclined, take a few minutes to look into the eyes of the deer. Feel the power in the gentle, giving and sacred being of this most stunning creature. Sometimes one single event is all it takes to totally wake us up to the Truth that is here all the time. But for most of us, it is a process that gradually unfolds, giving us clues, hints, and glimpses of Reality in small doses so that we can assimilate them into our lives. We become familiar with who we are, we get to know ourselves day by day, as we come to understand and accept that we are much more than the roles we play.